What Are Planar Magnetic Headphones? What’s So Special About Planar Magnetic Headphones? What to Expect When it Comes to Prices? Is There Anything Better Than Planar Magnetic Headphones? If you are looking for a new pair of headphones and you are thinking about buying planar magnetic ones, our article on 10 best planar magnetic headphones is a great place to start your search. 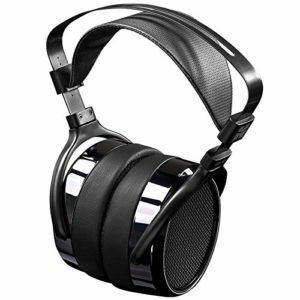 If you keep reading, you will find out all you need to know about planar magnetic headphones, their advantages and disadvantages, the most reputable manufacturers, prices, etc. 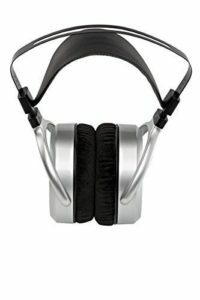 We will also give you a few tips on what to pay attention to when buying planar magnetic headphones. If you don’t want to (or don’t need to) read all the introductory info, you can immediately skip to our list of 10 best planar magnetic headphones in 2019. In the past, we’ve had the chance to test some planar magnetic headphones like Audeze EL-8 Titanium, HIFIMAN HE-400i, and OPPO PM-3. If you prefer more detailed reviews, you should read these. At first glance, there’s no difference between the old-school headphones with dynamic drivers and planar magnetic headphones. The only visual difference is the difference in cup size. Planar magnetic headphones tend to have larger ear cups. The real difference between them lies in their drivers and their working principles. The old-school headphones have dynamic drivers which pretty much look like miniature speakers and have the same working principle (you can read our article on speaker’s working principle if you want to know all the details). In short, you have a voice coil (thin wire) surrounded by a magnet and attached to the cone-shaped membrane (diaphragm). When the current (electrical signal) is fed to the coil, the coil acts as an electromagnet due to interaction with the magnet surrounding the coil. The current flow is changing constantly and causes the coil to move back and forth. Since the coil is attached to the diaphragm, the diaphragm moves along with the coil and pushes the air around the diaphragm back and forth. That way, the diaphragm creates sound waves and we perceive them as sound. It’s pretty simple, right? These headphones are very easy and very cheap to make, which makes them the most common type. Unlike dynamic drivers, planar magnetic drivers have a much thinner and completely flat diaphragm. It’s a large thin film with even thinner wires inside of it (this is the equivalent of a voice coil in a dynamic driver). This thin film is sandwiched between two layers of magnets. Each layer contains an array of precisely cut and evenly spaced small magnets. They actually look like bars. When the current is fed to the diaphragm, the electromagnetic field is created, and changes in current flow cause the diaphragm to move back and forth. And again, the sound is created. When you think about it, planar magnetic drivers look much ‘’cleaner’’ and simpler (fewer parts) than dynamic drivers. The only problem is – they are much harder to make. The manufacturing process requires surgical precision and high-end tools. That’s why they are not as common as dynamic headphones. In fact, there are only a few important names on the planar magnetic headphone market. 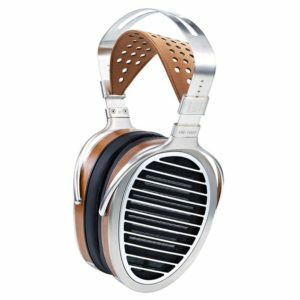 HIFIMAN, OPPO, and Audeze are the most reputable brands and you will find at least one or two headphone models made by each of these manufacturers in every single list of best planar magnetic headphones. As you can see, 8 out of 10 headphone models on our list are made by HIFIMAN, OPPO, or Audeze. To put it simply, if you’ve been using headphones with dynamic drivers all your life, planar magnetic headphones will bring your listening experience to another, much higher level. Every single pair of planar magnetic headphones (even those affordable ones) delivers very accurate, rich, and natural sound. Planar magnetic headphones are famous for their distortion-free sound. This is caused by their driver construction and the fact that the diaphragm (thin film) is not driven from one point (that’s the case with traditional dynamic drivers). The diaphragm inside a planar magnetic driver has wires spread all over it and the magnetic field is evenly spread. All the parts of the membrane vibrate equally and the chance of distortion is reduced to a minimum. Also, due to an evenly spread magnetic field and smaller/lighter diaphragm, planar magnetic drivers have greater responsiveness. The diaphragm moves faster and responds to every signal change making the sound more dynamic, richer, and more lifelike. Another thing you should not neglect is the fact that planar magnetic drivers are more durable than dynamic drivers. This is also caused by their construction. The number of moving parts in planar magnetic drivers is smaller which reduces the chance of deterioration over time. The most obvious downside is their size. Planar magnetic headphones have thin diaphragms but they are large in diameter. Almost all the planar magnetic headphones on the market are over-ear. Also, due to two layers of magnets, planar magnetic headphones are heavier than regular headphones with dynamic drivers. They can hardly be as comfortable as the old-school over-ear headphones and they are less portable. In most cases, planar magnetic headphones have higher impedance and they are harder to drive which means that you will have to invest some additional money into a headphone amplifier. Still, some of the models deliver more than decent performance when driven by a smartphone. You just have to look carefully and check the specs. If you need something that can be used on the go, look for lower impedance and higher efficiency and sensitivity ratings. In general, planar magnetic headphones are more expensive than the old-school headphones with dynamic drivers. Some flagship models made by Audeze, Oppo, or HIFIMAN are priced over $2,000 (Audeze LCD-3) or even over $3,000 (Audeze LCD-4, HIFIMAN HE1000 V2, Audeze LCD-MX4). Still, you can find some really good headphones for less than $1,000 (OPPO-PM3), or even less than $500 (Hifiman HE400S, HIFIMAN HE-400I, Monolith M1060). So, you don’t really have to spend your savings on a pair of headphones. These headphones can’t be considered cheap, but there are some nice and affordable choices. Well, there’s another type called electrostatic headphones. They have an even greater frequency response, and they deliver richer, more dynamic, and even less distorted sound (compared to planar magnetic headphones). Due to their price ($2,500+), most audiophiles can only dream about high-end electrostatic headphones. The price can go up to $50,000. Like that’s not enough, you will have to buy a special amp to drive them. They are much pricier than the planar magnetic headphones. The most famous manufacturer of electrostatic headphones is STAX. HIFIMAN has also made a few models of electrostatic headphones. Some of the most famous electrostatic headphone models are STAX SR-009, HIFIMAN Jade II, HIFIMAN SHANGRI-LA. HIFIMAN SHANGRI-LA are one of the most expensive headphones in the world (until today, less than 100 SHANGRI-LA headphones is sold worldwide). For most normal people, planar magnetic headphones are as good as it gets. If you are still interested in buying planar magnetic headphones, you should check out our list of 10 best planar magnetic headphones in 2019. We have tested Oppo PM-3 a few months ago and if you want to know all about them, you should read our Oppo PM-3 detailed review. In this review, we are going to mention all the important pros and cons, but we won’t go into details. 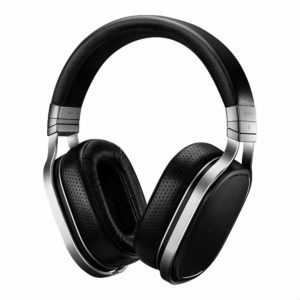 Oppo is one of 3 most famous manufacturers of planar magnetic headphones on the market. The saddest thing is that Oppo is out of business. They don’t make planar magnetic headphones anymore, but they do offer customer support for their products. PM-3 is probably the last pair of planar magnetic headphones ever made by Oppo. PM-3 headphones are meant to be portable and affordable. As you already know, these two words are rarely used to describe planar magnetic headphones. Oppo did a great job in combining great sound with a portable design and affordable price. Originally, PM-3 headphones were priced under $500 but, since the production is discontinued, the price went up. Luckily, they are still priced under $1000, which can be considered affordable when it comes to planar magnetic headphones. The packaging looks premium but not as premium as PM-1 or PM-2. Still, it’s quite impressive. You will get a carrying case made of selvage denim. The headphones are packed inside the case. You will also get two cables – one 3m-long with 3.5mm mini-jacks on both sides (and without controls) and one 1.2m-long audio cable with 3.5mm jacks, in-line controls, and a built-in mic. Depending on your phone (you are supposed to mention that when buying headphones), you will get a cable with 3-button in-line controls (for iPhones) or cable with 1-button in-line controls (for Android phones). You will also get the user manual and 1-year warranty. These are over-ear closed-back headphones. They look simple but stylish. It’s a rare thing to see closed-back planar magnetic headphones (they are usually open-back), but this is closely related to their purpose. Since they are designed to be portable and meant to be used on the go, the manufacturer had to minimize the sound leakage and, as you know, open-back headphones leak a lot of sound. The build quality is quite impressive. There are a lot of aluminum parts. The most important thing is that the headband and the joints connecting the earcups and the headband are made of metal. You will get a 1-year warranty but the headphones will last much longer than that. You will have to replace the earpads occasionally, but the rest of the headphones is solid and very durable. The comfort is not an issue. PM-3 headphones are much lighter than the majority of planar magnetic headphones. They weigh less than a pound, which is not really light (especially when you compare them to some regular headphones). Still, they can be considered one of the lightest among planar magnetic headphones. The weight is nicely and evenly distributed. The clamping force is not irritatingly strong, but it’s strong enough to keep the headphones in place. Both headband and earpads have thick paddings made of memory foam. They are soft and quite pleasant. The headband is adjustable and the earcups can swivel. It’s not an easy task to make planar magnetic headphones comfortable and light, but Oppo did everything to make them as comfortable as possible. Two cables are included in the package which is another thing that makes these headphones versatile. You can use that longer cable at your home, while the shorter cable is better for use on the go. The microphone is also a nice addition. It delivers above-average, but not an impressive performance. The sound is very natural and balanced. The bass is very impressive. It’s punchy and slightly extended. It’s not emphasized and it’s doesn’t overpower low midrange frequencies. Vocals and instruments are very clear, detailed, and dynamic. You can easily make a distinction between different instruments. Some treble frequencies (5-10kHz) may sound a bit brighter than normal, but that won’t ruin the overall impression. This is, without a doubt, a great-sounding pair of planar magnetic headphones. These headphones have a 26Ω impedance which means that you don’t need an amplifier to drive them. Surely, you will get a more detailed and louder sound with an amplifier, but the difference is barely noticeable. Due to closed-back design, these headphones don’t leak as much sound as open-back headphones (but they still leak some sound at high volumes). Also, the closed-back design is responsible for narrower soundstage. Besides the minor treble issue, there is not much to complain about. The Android users will be disappointed to know that the cable for Android devices has only one button while the iPhone cable has three buttons (dedicated volume buttons + play/pause/call button). Some people might expect them to be even lighter and more comfortable, but you should be aware that there are certain design limitations that make the planar magnetic headphones heavier and you can’t expect them to weigh less than 9 ounces. After all, most of the high-end regular headphones are also heavy. HIFIMAN HE-400S headphones are even cheaper than the previously reviewed Oppo PM-3. They are one of the cheapest planar magnetic headphones on the market, and if your budget is set at $300, these are the ones for you. The packaging looks really nice and it’s pretty much on par with the price. It’s not as premium as the box you get when buying Oppo PM-1, but then again, the price is more than affordable and you can’t expect the same kind of presentation. You will get a pair of headphones and one 1.5m (5ft) long Y-shaped cable with 2.5mm jacks for the earcups and a regular 3.5mm jack on the other side. You will also get a ¼-inch adapter, user manual, and 1-year warranty. Carrying case is not included which is a minor flaw. Also, there’s no cable with in-line controls and mic which can be a deal breaker for some people. There is nothing extremely exciting about the design of HE-400S. Some people would even say they are ugly, but we won’t go that far. It’s a regular simple-looking pair of headphones. The earcups are large and bulky which is expected from planar magnetic headphones. These are over-ear open-back headphones. There are black grilles on the outer ends of the earcups and the headband is kind of squarish. All in all, this is not the most attractive pair of headphones and they are not really made for outdoor use or for use on the go due to open-ear design. There are some good and some bad things when it comes to durability. The drivers inside the earcups are definitely durable which is the most important thing. The headband also looks very durable and it’s made of metal. On the other hand, we have certain doubts about the earcups and especially about the hinges connecting the earcups and the headband. They don’t look extremely fragile, but they are still made of plastic. The comfort is satisfying, but there’s some room for improvement. The headphones are light (12.3 ounces) and the earpads have a thick layer of padding and velour finish. No complaints about that. The headband doesn’t have any padding. There’s only a thin layer of fake leather stretched between left and right side of the frame. Surprisingly, it’s not that uncomfortable but you will start to feel some pressure on top of your head after a few hours of use. Sound quality is what makes these headphones truly great. At this price point, you can hardly find much better sound. They are maybe not as good as some high-end planar magnetic headphones but they will satisfy every audiophile on a budget. The bass is punchy and tight, but it’s not as extended as you would get with some of HIFIMAN flagship models. Still, it can make some serious impact. The midrange is dynamic, rich, and detailed. It’s nearly perfect. The vocals are nice and clear. The treble reproduction is a little bit brighter but it’s never harsh. The headphones are very easy to drive and you don’t really need an amp to get great results. As we have said, it is advertised that they can be powered by your phone (due to 22Ω impedance), which is a great thing since you don’t need any additional equipment (amplifier). The bad thing is that there’s no cable with in-line controls and a built-in mic, which is something you would expect when the headphones are connected to your phone. We are a little bit worried about those plastic hinges – they don’t look as durable as the rest of the headphones. In terms of build quality and construction, they are definitely the weakest link. We’ve had the chance to test one of the cheaper but very elegant-looking Audeze models called Audeze EL-8 Titanium in the past and we were quite happy with them. If LCD-X headphones are out of your league, you might want to check out this cheaper alternative. LCD-X headphones are one of the Audeze’s flagship models. They deliver world-class performance and can be considered one of the best-sounding headphones on the market. The biggest downside is their price. They are priced around $2000, which is probably too much and unreasonable for most of you, but if you are that crazy about the sound and you are eager to experience an audiophile-grade sound quality, LCD-X is an awesome option. If you are even crazier, you can try more expensive LCD 3, or the ridiculously expensive LCD 4. The Audeze LCD-X come in a very rugged carrying case. You will also get a proprietary 8ft-long Y-shaped cable, user manual, 3-year warranty on drivers and 1-year warranty on other parts. The design is simple but very elegant. These headphones are quite bulky and they are not made for outdoor use and use on the go. They are designed for critical listening at your home. The build quality is impressive. They are entirely made of metal (earcups, headband, joints, etc.) and look very solid and durable. The manufacturer invested a lot of time and work into designing and manufacturing process. LCD-X are not the most comfortable headphones in the world but you have to make certain compromises if you want this kind of audio fidelity. The biggest, and probably the only issue, is their weight. They weigh 1.35lb which is a bit too much for long listening sessions. On the other hand, the ear cushions are very thick and very soft. The clamping force is not too strong and the weight is nicely distributed across the headband. The greatest highlight is the sound. It’s simply beautiful and aggressively detailed. You can literally hear every detail and every nuance. The listening experience is nearly perfect. The bass extension is huge. It’s incredibly powerful and thick. It’s not overdone, inaccurate and, most importantly, it’s not overpowering. Some midrange frequencies are slightly recessed (there’s a small, barely noticeable roll off after 1000Hz), but the midrange is still perfectly accurate and very rich. Lower midrange is more present and more impactful. The vocals, especially the female vocals are extremely detailed but not harsh. You can perfectly hear the strings and vocals on top of them. It’s simply beautiful. The treble is managed perfectly. It is very clear, very detailed, and not bright at all. LCD-X headphones deliver perfect sound with no compromises and there’s literally nothing to complain about. The imaging is exceptionally accurate. Due to open-ear design, the soundstage is wide and airy. The most impressive thing is that LCD-X headphones are highly efficient and incredibly easy to drive. Their sensitivity is 103dB and the impedance is rated at 20Ω, which means that you don’t even have to use an amplifier to drive them. Considering the size of drivers and the overall sound quality, this is a huge surprise. LCD is one of the heaviest headphones on the market. The manufacturer tried to make them comfortable, but the weight is the one issue they couldn’t solve. Due to open-ear design, LCD-X headphones don’t isolate any noise and they leak a lot of sound. Even though they can be powered by your phone, they are made for critical listening at your home. LCD-X are not the most expensive headphones on the market. They are not even the most expensive Audeze headphones, but the price is still very high. MrSpeakers is an audio manufacturer famous for its high-end planar magnetic headphones from the Ether series as well as electrostatic VOCE headphones. AEON headphones are planar magnetic, just like all the Ether headphones, but they are significantly cheaper (priced under $1000). They come in a nice-looking black packet, along with a semi-hard carrying case, 2m-long audio cable with 4-pin connectors for the earcups and 3.5mm jack on the other end of the cable (+ ¼-inch adapter). You will also get 3 pairs of dampening/tuning pads (you are supposed to put them inside the earpads and prevent your ear from touching the earcups), user manual, and 2-year warranty. AEON Flow open-back headphones feature a very unique design. AEON Flow are one of those ‘’love it or hate it’’ headphones. They are unusual and very modern-looking. The earcups feature ergonomic teardrop (ear-shaped) design and the headband consists of two thick wires made of memory metal. In terms of build quality and durability, this is an excellent pair of headphones. Everything seems very sturdy and solidly built including the braided detachable cable. The headband is made of metal, and instead of padding, you have a ‘’head strap’’ made of leather. When it comes to comfort, AEON Flow open-back headphones are practically flawless. They weigh 11.3oz (one of the lightest models on this list). The leather ‘’head strap’’ doesn’t put too much pressure on your head. The earpads are thick and comfy. They follow the contours of your ears and fit perfectly even the largest ears. Every single detail was carefully designed and built. These headphones are made to last and to be comfortable, but this is just the beginning. The most important thing is the sound and, as you may know, you can’t go wrong with MrSpeakers headphones. First of all, it’s important to know that AEON Flow are one of the least demanding planar magnetic headphones on the market. They are incredibly easy to drive (14Ω impedance, 94dB sensitivity). You don’t even need an amplifier, but it’s still recommended to use it if you want to reach their full potential. The audio performance is great but not stellar (or not as good as LCD-X). They are very neutral and very detailed. The bass is nicely balanced but not as extended as you would expect from a pair of planar magnetic headphones. The sub-bass frequencies are not covered, but the bass is still impactful and well-bodied. Lower midrange is solid, punchy, and detailed. The upper midrange is detailed, but it’s not that impressive. It lacks some real influence. The vocals are probably the best thing about these headphones and if you prefer vocal-oriented music, these headphones will amaze you. The vocals have a strikingly good presentation. They are intimate and have a lot of impact. The treble reproduction is smooth and pleasant. It is perfectly clear and very detailed but lacks some sparkle you would get with LCD-X. Still, very impressive. The imaging is accurate – the vocals are centered and forward while the instruments are nicely spaced and positioned. The audio cable looks good and very durable, but it’s proprietary and if it breaks (after a few years of use), you will probably have to buy it from the manufacturer. The lack of extended bass response (sub-bass region) could be a deal breaker for some audiophiles and bass heads. Since they are open-back headphones, they don’t isolate noise and they also leak a lot of sound. If you prefer better noise isolation, you should try AEON Flow closed-back headphones. 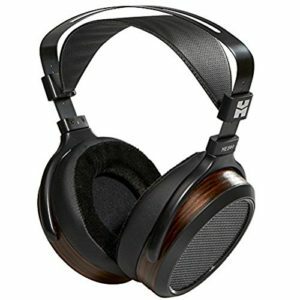 HIFIMAN HE-400I are currently the cheapest planar magnetic headphones on the market. They are priced under $200 and, at this price point, they represent the best choice if you want to experience planar magnetic sound without spending too much. We’ve had the opportunity to test these headphones in the past and if you are interested, you can read our detailed HIFIMAN HE-400I review. HE-400I headphones come in the same-looking box as previously reviewed HE-400S. The packaging includes the headphones, 3m-long Y-shaped audio cable (two 2.5mm jacks on the Y-shaped ends and one 3.5mm jack on the other end), ¼-inch adapter, and 1-year warranty. The package doesn’t include carrying case or any additional equipment. In terms of design, HE-400I combine the old-school and modern look. The headband consists of the old-school squarish metal frame and a fake leather strap instead of conventional padding. The earcups are more modern-looking. They are made of plastic and have a shiny finish. HE-400I are not the best-looking headphones on the market, but it all depends on your taste. When it comes to build quality, you have a mixture of good and bad. The headband is very durable and sturdy. The earcups are plastic but solid. The biggest issue are the plastic joints connecting the headband and the earcups. They are the weakest link in terms of durability. The comfort should not be an issue. They are pretty light for a pair of planar magnetic headphones (approx. 13oz) and they don’t put too much pressure on your head. The weight is evenly distributed across the headband and the clamping force is strong enough to keep the headphones in place, but not too strong to cause fatigue or discomfort. Sonic performance is pretty impressive for a pair of headphones under $200, but it’s not on par with more expensive HIFIMAN models (or other more expensive planar magnetic headphones). The target group for these headphones are the people who like vocal-oriented music. The midrange reproduction is the greatest highlight. The bass is accurate and tight. It doesn’t overpower the midrange frequencies, but it’s not as extended as you would expect from a pair of planar magnetic headphones. It lacks sub-bass. The midrange reproduction is practically flawless. Everything sounds very detailed and perfectly clear. The accent is on the vocals, both male and female. They are centered and very transparent. Some treble frequencies (above 6kHz) are too bright, or even harsh (especially at high volumes), and that’s the only real issue when it comes to sound. HE-400I headphones are not demanding. With 35Ω impedance and 93dB sensitivity, you will get more than satisfying performance even if you don’t use an amplifier, but it’s definitely recommended to use one if you want the best possible performance. HE-400I are open-back headphones which means a lot of sound leakage and minimal noise isolation. They are bad for outdoor use. We could complain about the sound quality since it’s not perfect and there’s a lot of room for improvement, but we won’t. At this price point, you can’t get much better sound. Those plastic joints are the biggest issue. They are kind of flimsy are prone to breaking. Monolith M1060 is another pair of headphones offering planar magnetic sound at an affordable price. Along with the HIFIMAN HE-400S and HE-400I, M1060 are the cheapest planar magnetic headphones on the market. They look like the Audeze LCD knockoffs, but they don’t deliver the same kind of performance. They simply don’t deliver as much detail, depth, and info as LCD-2 (which are one of the cheaper Audeze models). Still, compared to regular headphones within the same under $300 price range, they sound great. The headphones come in a nice-looking black box. Besides the headphones, you will get one 6ft-long Y-shaped audio cable (2.5mm jacks for the earcups and a 3.5mm jack for the audio source), one ¼-inch adapter, hard carrying case, and 5-year replacement warranty. In terms of design, these headphones remind us of Audeze LCD headphones and that was probably the manufacturer’s idea from the very beginning. You have the old-school square-shaped headband with a leatherette strap instead of regular padding. The headphones are open-back and the grille on the outer end of the earcups is very similar to Audeze LCD headphones. There are some wooden/veneer details along the rim of the earcup that give them a bit more luxurious look. The build quality is not as good as the build quality of LCD headphones, but it’s not bad. It’s just a little bit flimsy. There are a lot of metal parts and the overall impression is that they can take some beating. All in all, the build quality is on par with the price, but they should’ve involved some extra effort to make them look better. They are not the lightest planar magnetic headphones, but also not the heaviest on the market. Their weight (1.1lb) is the only issue in terms of comfort. The manufacturer did everything else perfectly. The earpads are very well padded. The paddings are made of memory foam. They are very thick and soft. The weight is nicely distributed across the headband – no huge pressure points on top of your head. The earcups can swivel and rotate and the headband is adjustable. When it comes to sound, you shouldn’t expect a flawless performance of LCD-X or LCD-3 headphones. It’s simply not reasonable to have that kind of expectations when the price difference between them is so big. The bass is the greatest highlight of M1060. It extends deep and it’s not boosted. It sounds natural, punchy, and pleasant. It is very tight and it doesn’t overshadow the midrange. The midrange is nicely balanced and dynamic. The vocals are clear and centered. There are some minor issues with the upper midrange, especially the peak around 5kHz which can really be annoying. The high end is quite flat, but not perfectly detailed and it lacks some sparkle. It’s not bright or harsh. It is present and transparent but not absolutely perfect. The soundstage is very wide and airy and the imaging is quite precise. Monolith M1060 are a bit more demanding than other cheap headphones. Their impedance is 50Ω and the sensitivity is 93dB so you will most definitely need an amplifier to get the best performance. It is not impossible to drive them with your phone, but you won’t be amazed by the results. When it comes to sound, the most noticeable flaw is that upper midrange and lower treble peak that causes odd ringing sound. Depending on the song, this peak can be quite harsh, even painful. In terms of design and build quality, these headphones lack just a little bit of refinement. 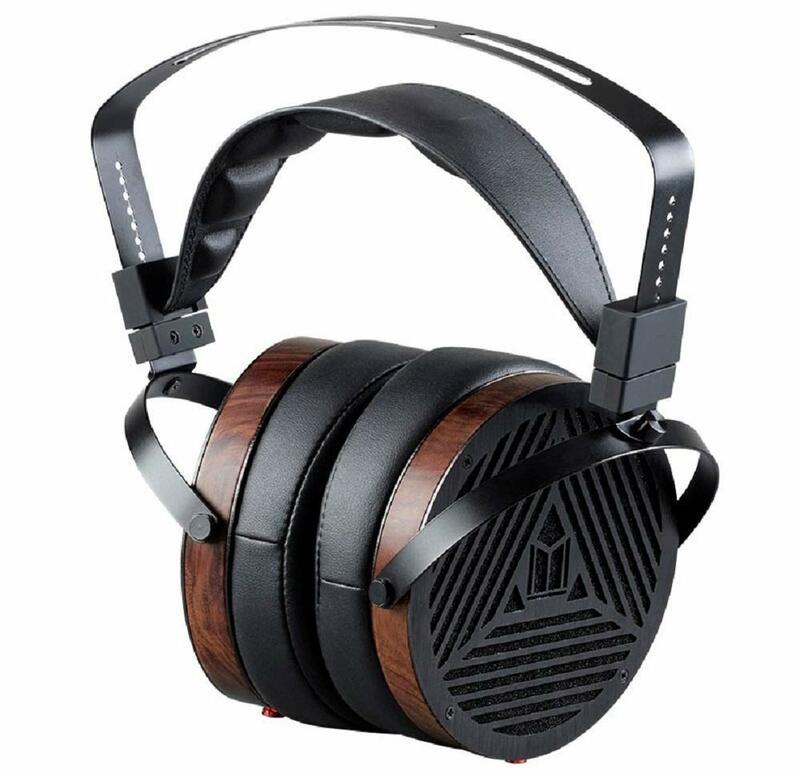 This is another expensive pair of planar magnetic headphones made by the Audeze. 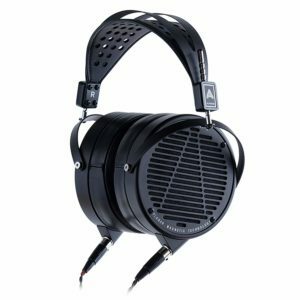 LCD-3 headphones are even pricier than LCD-X. If you can spend $2000 on a pair of headphones, LCD-3 is a viable option. In a way, they are similar to previously mentioned Monolith M1060, only much more sophisticated (in terms of design, build quality, and sound). The package includes the headphones, rugged carrying case, and 2 audio cables (both cables are proprietary with 4-pin connectors for the earcups, but one of them is 8ft-long flat cable with ¼-inch jack, and the other is 9ft-long with ¼-inch jack). You will also get a ¼-in to 3.5mm adapter, user manual, 3-year warranty on planar magnetic drivers, and 1-year warranty on other parts. 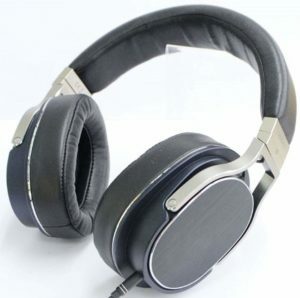 LCD-3 are beautifully crafted open-back headphones. They are a perfect example of modern industrial design. The headband and the earcups are made of metal and look very solid and durable. The earpads are thick and the finish is made of leather (you can also select fake leather earpads when buying the headphones if you prefer softer padding – the real leather is a bit stiff). Instead of headband padding, you have a leather headband strap (this is the new version of LCD-3 – the older version had a standard headband). Those wooden rings around the earcup rims make them even more elegant and more sophisticated. All in all, they feel solidly built and look very attractive. The only downside is that they are quite bulky (some people would even say gigantic). When it comes to comfort, it all depends a lot on your ability to tolerate weight. LCD-3 headphones are hefty and weigh 1.2lb. That could be too much for you. On the other hand, that weight is nicely distributed (especially with the new headband), and the clamping force is within reasonable limits. It’s not too strong and it won’t hurt your ears, but you will have to take them off eventually and rest a little bit. Audeze did everything right. They have covered all the bases (comfort-wise) and the weight issue is simply caused by the premium construction and planar magnetic technology. If you want a world class performance, you will have to deal with this minor issue. And it will truly become a minor issue once you hear them. The audio performance is solid and authoritative. In order to really experience their brilliance, you should use some good amp (because of 110Ω impedance and 102dB sensitivity) and high-definition lossless audio formats. The bass response is extended, powerful, thick, but also refined and controlled. It’s truly impactful. The midrange is very close to neutral. There’s a great amount of detail and clarity in every tone. Vocal tonality is excellent. The vocals, both male and female, have a lot of texture and detail. Everything seems perfectly balanced and natural. The vocals are nicely separated from the instruments. The midrange reproduction is dynamic and immersive. The treble is also pretty detailed but you might want to change some EQ settings because some high frequencies may sound a bit too bright, intense, or even harsh. There’s a peak at 10kHz and it can be really noticeable when some bright music with a lot of high-pitched tones is being played. If you try to remove that 10k peak with an EQ, you will get a much better balance and you will also discover an incredible amount of hidden detail in the treble region. Weight is the biggest issue and it’s not for everyone. If you have sensitive ears or you can’t tolerate that kind of pressure, you should be looking for something lighter. The price is also an issue. Not everyone can spend $2,000 on a pair of headphones and even the ones that can are a little bit skeptic. In our opinion, they are definitely worth the money. The only question is – can you spend $2,000 on a piece of audio equipment. As any other open-back headphones, these leak a lot of sound and don’t isolate any noise – they are made for critical listening at your home. PM-1 are the first and the most premium planar magnetic headphones from the Oppo PM series. We have previously reviewed PM-3 headphones. PM-1 headphones are similar in terms of design, but much more durable, sturdier, and better-sounding. PM-1 is priced over $1,000. It’s more expensive than those entry-level planar magnetic headphones but cheaper than premium models made by HIFIMAN, Audeze, and MrSpeakers. PM-1 headphones come in a beautiful premium-looking wooden box. The presentation is truly impressive. Inside the box, you will find your headphones, two audio cables (one 3m-long Y-shaped braided audio cable with 2.5mm connectors for the earcups and 6.3mm jack for the audio source and one 1m-long cable with 3.5mm jack), 3 pairs of earpads (lambskin leather and velour finish), denim carrying case, user manual, 1-year warranty on the headband and earpads, and 3-year warranty on other parts. PM-1 are beautifully crafted headphones. They are simple and elegant, but some people might find them boring or too ordinary. It all depends on your taste. If you are not into flashy stuff, you will love them. There is nothing ordinary when it comes to build quality. The headband, joints, and earcups are made of aluminum and look very solid. All the parts are well put together. There are no strange noises when you extend the headband or rotate the earcups. These headphones can definitely take a serious beating without any serious damage. The manufacturer managed to make them light or at least lighter than LCD headphones. They weigh less than a pound (13.9oz). The paddings on the earpads and headband are soft and comfy. They are not as thick as the paddings on the Audeze LCD headphones but they are good enough and they don’t feel strange. Some of you might prefer paddings with a velour finish. You can easily replace the paddings in 10 seconds. The headband is adjustable and the earcups can rotate and swivel. So, to conclude, the comfort is not an issue. The sound quality is, obviously, the greatest highlight. After all, these are planar magnetic. In terms of sound, PM-1 headphones can be considered a cheaper alternative to Audeze LCD-X. The bass response is extended but not overpowering. It’s powerful, strong, and engaging. It is well-bodied and has a real impact. The midrange reproduction is perfectly detailed and very dynamic. The separation between different instruments and vocals is impressive. The vocals are centered and very forward. The treble reproduction is also extended, but the highs are not bright or harsh. There are no noticeable peaks and no sibilance. Every high note sounds clear and detailed, almost sparkling. The soundstage is very wide and airy. The imaging is incredibly accurate – you can practically pinpoint the exact location of every instrument or singer. PM-1 headphones are not too demanding (32Ω impedance, 102dB sensitivity) but it’s definitely recommended to use some amplifier if you want to get the most out of them. If we have to complain about something, it would be the earpads. They are soft, but a little bit too tight and your ears won’t be able to breath (even though these are open-back headphones) – your ears will become hot and sweaty after an hour of use. Due to open-back design, these headphones leak a lot of sound. You shouldn’t use them when there are people around you unless you want to annoy them. HE-560 is another affordable pair of headphones made by HIFIMAN. Their sonic performance is definitely on par with some pricier models under $1,000 and they were, in fact, priced around $800 when they first appeared, but there’s a common issue with these headphones and it’s related to build quality. That’s probably the reason why the price went down so quickly. Still, in terms of audio performance, these headphones are great. You just have to handle them with care. The box these headphones come in looks quite premium. The headphones are nicely packed and along with the headphones, you will get one Y-shaped audio cable (2.5mm connectors on one end and ¼-inch jack on the other), user manual, and 1-year warranty. As all the planar magnetic headphones, HE-560 headphones are a little bit bulky. The outer ends of the cups are covered with a black aluminum grille. The frame is made of aluminum and the old-school suspended headband is made of pleather. The earcups are plastic but look sturdy enough. There’s a simple veneer wrapping around the earcup rims which is supposed to add a bit more style. In our opinion, it made them look kind of cheap. All in all, we are not disappointed by the design but we are not impressed. The build quality is mostly satisfying but there is one big issue we are going to discuss in the ‘’Things we don’t like’’ section. Compared to other planar magnetic headphones, HE-560 offer more than enough comfort. They weigh 13.3oz, which is not too much for planar magnetic headphones. The earpads on these headphones are so-called hybrid pads (pleather finish on the edges and velour finish on the inside). They are soft and pleasant. Some people prefer the sound with all-pleather earpads because they improve the bass response (they make it punchier and more impactful). Thanks to the suspension band, the weight is nicely distributed. You will feel some fatigue or discomfort after a few hours of wearing, but that’s not unusual. When it comes to comfort, these headphones are one of the best planar magnetic headphones on the market. The sound quality is the most impressive thing about HE-560. The bass is quite extended. It’s present, punchy, and impactful, but also smooth and controlled. These are not the bassiest planar magnetic headphones on the market and the bass is not the most detailed ever but it is still impressive. The midrange reproduction is quite neutral. The lower midrange is not overshadowed by the bass. It’s clear and impactful. All the instruments and most of the vocals sound very natural and authentic. Some high-pitched female voices may sound just a little bit bright due to a peak that starts around 4kHz. Nothing in the midrange really stands out, but it’s pretty detailed. The highs are probably the most pronounced part of the frequency spectrum. Some people might find them bright, or even harsh. All this is caused by that peak we’ve mentioned. It starts around 4kHz and ends around 5.5kHz. If you EQ this range down by 2dB, you will get much more neutral-sounding treble and you will definitely hear more detail. More importantly, you will make them less harsh. Overall, these headphones deliver more laidback sound with a punchy but smooth bass, clear mids, and slightly emphasized highs. HE-560 are not too demanding (40Ω impedance, 90dB sensitivity), but you will still need an amplifier to get the best performance. The biggest issue is durability. To be more specific, the plastic joints connecting the earcups with the headband are the weakest parts. They are flimsy and prone to breaking, which is why you should handle these headphones with care. HE-560 headphones also leak a lot of sound, but that’s expected considering the fact that they are open-back. We have decided to save the priciest for the end. HIFIMAN HE-1000 V2 are not the most expensive planar magnetic headphones on the market, but they are still ridiculously expensive. They are priced around $3,000 and they are definitely not for everyone. By the way, you will also need some nice amp if you want the best possible performance. These cans come in a premium-looking wooden box along with 3 audio cables (1.5m-long cable with 3.5mm jack, 3m-long cable with a ¼-inch jack, 3m-long 4-pin XLR cable), user manual, and 3-year warranty. It’s kind of a modest content for a $3,000 packaging. They could’ve at least included a carrying case. In terms of design, and especially in terms of build quality, HE-1000 V2 headphones represent a huge improvement compared to previously mentioned HIFIMAN models. They are definitely one of the strongest and most durable HIFIMAN headphones on the market. They look very premium. The headband frame is made of stainless steel and the earcups are made of metal alloy. The earcups feature an ergonomic design that follows the contours of the ears. On the outer end of the earcups, you will see a silver grille (open-back headphones), and the earcup rims are wrapped in veneer. The suspension headband is made of real leather and the color of the headband doesn’t really match the color of the veneer (that was probably the idea). This is a minor issue, but we have to be picky. After all, these are $3,000 headphones. Overall, we are not absolutely amazed by the design, but then again, we may have had unreasonable expectations. They are beautiful but need just a little bit more refinement. The durability and build quality are satisfying. We are pretty sure they can last for years, if not decades. 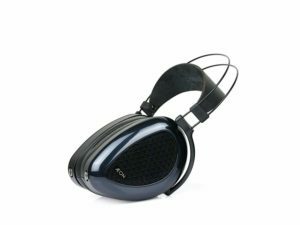 The people from HIFIMAN were really methodical – they have corrected all the issues people had with the first version of these headphones (HE-1000 V1). All those metal parts definitely look reassuring. The comfort is actually great. They are on a heavy side (14.08oz), but the weight is nicely distributed and those huge pads are very plush and very comfortable. They can definitely be used for long listening sessions. The padding on the earpads is asymmetrical – the upper end is thicker than the bottom in order to accommodate the contours of the face and angle the diaphragm towards your ears. All the design-related complaints we could possibly have become irrelevant once you actually hear these headphones. They are not too demanding (35Ω impedance and 90dB sensitivity) but you will need an amplifier (preferably equally good amp) to really get the idea what kind of world-class sound they deliver. In our experience, HE-1000 V2 headphones offer the most pleasant listening experience. We haven’t tested anything pricier than these headphones and we cannot say that they are the best headphones ever, but out of those headphones we’ve had the chance to test, these headphones (along with Audeze LCD-X) deliver the most amazing sonic performance. There’s literally nothing to complain about. The bass response is extended, deep, and thick. It’s incredibly powerful but still very controlled. The midrange is beautifully balanced. The lower midrange is impactful and present and the upper midrange is very detailed and dynamic. The vocals, both male and female are perfectly clear. Sibilance is practically nonexistent. The treble is sparkling. It’s slightly elevated but not overemphasized or too bright. For some people, this barely noticeable emphasis on the highs could be too much but that really depends on your taste. The good thing is that you can always play with the EQ settings and find the best sound for you. Planar magnetic headphones react much better to EQ adjustments and you can easily achieve the type of sound you are looking for. Well, the biggest issue is the price. All the other issues are not as significant. HE-1000 V2 are ridiculously expensive. It’s a huge question if they are worth the money. In our opinion, they are but you can always wait a bit more or buy used ones. Or, you can buy some cheaper headphones like Audeze LCD-X. This is the end of our list of 10 best planar magnetic headphones but you shouldn’t go away, yet. Before we say goodbye, there’s one more thing to discuss. Since buying a pair of planar magnetic headphones can be a huge investment, it’s good to know what to look for. Here’s a short buyer’s guide. This is not such a brainer. It all depends on your budget. If you can’t spend more than $500, some cheaper HIFIMAN models or even Monolith headphones are the best option. If you can spend more, the number of viable options increases. If you are just curious and you want to try planar magnetic technology, it’s probably smart not to go over $1,000. If you are an audiophile and you can spend more than $1,000, go for anything you find appropriate. All the planar magnetic headphones over $1,000 are pretty good, even great. When it comes to audio quality, the factors you should pay attention to are always the same. You should check the specs list and look for features like frequency response, sensitivity, impedance, THD (distortion). Frequency response is always wider with planar magnetic. It’s safe to look for as wide frequency response as possible, but it’s not absolutely necessary. After all, you can only hear the sounds between 20Hz and 20kHz. In some cases, wider frequency response could mean more detailed reproduction and richer sound. Still, the difference in audio quality between $1,000 and $1,500 headphones can be very subtle and barely noticeable for unsophisticated ears. Sensitivity (along with max SPL) describes the max loudness of certain headphones but it should always be considered along with impedance. Greater sensitivity rating is always desirable but, in some cases, you will be able to achieve the advertised loudness only with an amplifier (because of high impedance). THD ratings for planar magnetic headphones are, by default, lower the 0.1%. You will get a great distortion-free sound with any of the models from our list of 10 best planar magnetic headphones. In the end, there are your personal preferences and your own impression. That’s why it is essential to try and hear the headphones before you buy them. It all depends on what you are looking for. If you are going to use your headphones outdoors, while commuting, or in your office, you should definitely go for closed-back headphones. If you are going to use the headphones indoors (at your home), open-back headphones will deliver more natural sound (less bassy) and wider soundstage. Comfort is always a big issue with planar magnetic headphones. As you already know, they are much bulkier and heavier than the old-school headphones with dynamic drivers, but not all planar magnetic headphones are equally (un)comfortable. There are three things to pay attention to – weight (and weight distribution), headband padding, and earpads. It would be ideal if the headphones are light but you can’t expect the same kind of lightness from planar magnetic headphones as you would get from regular headphones. Paddings on the headband and earpads have to be thick and soft and the weight should be equally distributed across the headband. Planar magnetic drivers are definitely more durable than dynamic drivers and that’s one of the reasons why you should buy planar magnetic headphones. But when it comes to durability, it’s not all about the drivers. You should also check the materials the headband and especially the hinges connecting the headband with the earcups are made of. It’s pretty obvious what to look for – metal headband and hinges/joints are always better than plastic. There’s no right answer to this question. As we have already said, the most reputable are Oppo, Audeze, HIFIMAN, and MrSpeakers, but you won’t regret if you buy one of those not so famous (generic) brands like Monolith. NextWhat are the Parts of a Stereo System? 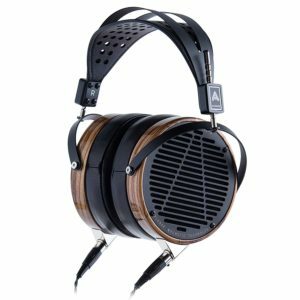 Audeze LCD-3 don’t have negative feedback on Amazon, are they the best headphones in the list? LCD-3 is a great pair of headphones but they are not necessarily ”the best”. The difference between high-end planar magnetic headphones (in terms of sound quality) is not huge. It’s all about tuning nuances. In some cases, there’s more emphasis on the upper-bass and lower midrange, in other cases, the treble is brighter or darker, but you can be assured that all the high-end planar magnetic headphones deliver relatively flat frequency response with some kind of subtle sound coloration. What do you think about Alara headphones from Brainwavz? I read some reviews on the web but I need your advice. We have tested Brainwavz Alara headphones a few weeks ago. If you are interested, you can read our detailed Brainwavz Alara Planar Magnetic Headphones Review.